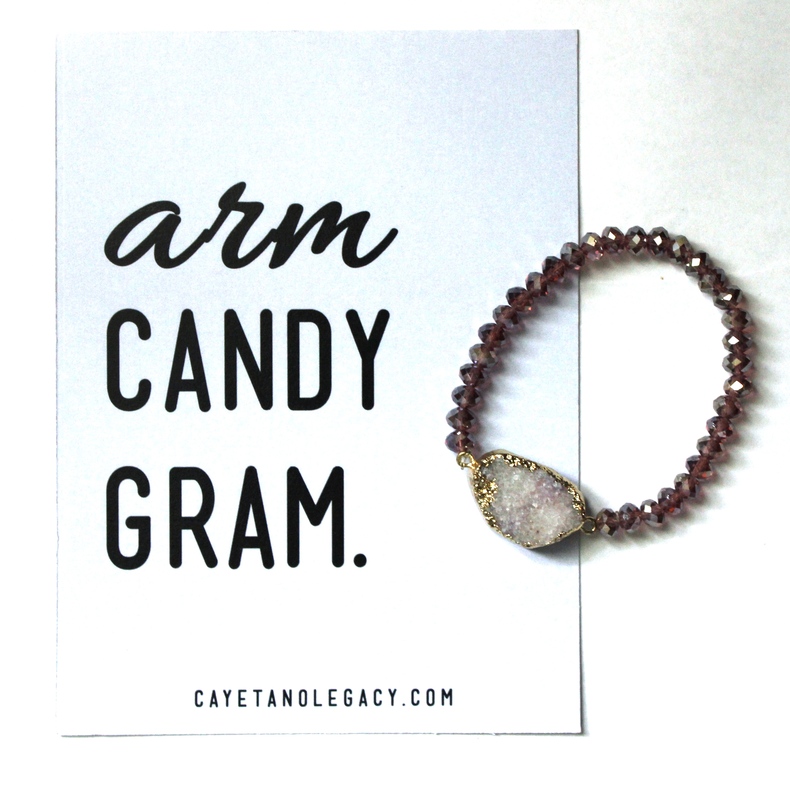 Surprise your girlfriends, mamas, soul sisters in your life with an arm candy gram to show them your love. A 4-by-6 backing accents our popular druzy stone bracelets. Inner bracelet is made of durable, stretch elastic, allowing for flexibility in sizing.